Point2 Homes gives you far more than a simple list of houses for sale. Get instant access to a lot of relevant information about Barrhaven, Ottawa, ON real estate, including property descriptions, virtual tours, maps and photos. The search results pages also have a wealth of information on Barrhaven, Ottawa, ON, if you scroll all the way down. 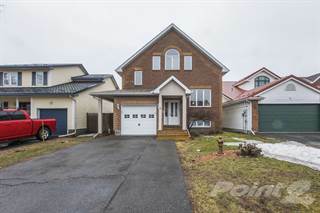 There are 69 houses for sale in Barrhaven, Ottawa, ON. 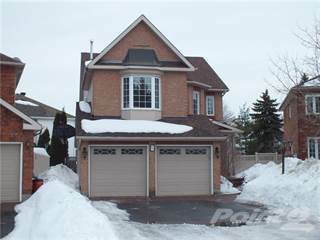 Searching homes for sale in Barrhaven, Ottawa, ON has never been more convenient. With Point2 Homes, you can easily browse through Barrhaven, Ottawa, ON single family homes for sale, townhomes, condos and commercial properties, and quickly get a general perspective of the real estate prices. Also, you’ll never miss a bargain if you filter listings based on house price drops in the past six months. Use the map view to find Barrhaven, Ottawa, ON homes and apartments for sale, based on amenities or city features that you may want close by. You can close in on a specific neighbourhood or area by simply drawing around them with the polygon or radius tools. Stay informed about the latest entries on the real estate market by saving your searches. This way, you get new listings in your inbox, daily or every week, based on your preferences. If you’d like to get in touch with a professional, agents are displayed next to their listings, and they’re easy to contact through the online forms. If you want more options, you can click the Tools tab and Find an Agent, and you’ll get a list of helpful and knowledgeable real estate agents in Barrhaven, Ottawa, ON. Visit the Point2 Homes blog and you can find up to date expert advice on many markets throughout Canada, regular market reports, neighbourhood scoops in cities throughout the provinces, real estate deals and useful recommendations. Barrhaven has been growing steadily in size and population for the past decade or so. This suburb of Ottawa provides a quieter residential area for those living here, while maintaining access to the variety of amenities the city has to offer. Parks, forests, and the Rideau River offer natural areas for residents to enjoy, while strip malls and shopping centres provide convenience. Prior to 2001, Barrhaven was considered to be part of Nepean, but has been included as part of the city of Ottawa since then. Barrhaven is located in southwestern Ottawa, near the Rideau River. It extends from the Veterans Memorial Highway (416) in the west to the Rideau River in the east, and from Fallowfield Road in the north to Cambrian Road in the south. The neighbourhood offers many family friendly amenities such as a public library, a recreation centre, numerous parks and splash pads, indoor kid-friendly entertainment, and multiple schools. Public transportation provides access to many areas in the neighbourhood, as well as other areas of the city, and Barrhaven’s suburban location means that residents can enjoy the best of both urban and suburban living. Residents can enjoy the latest movies at Cineplex Odeon Barrhaven Cinemas, which features five 3D screens, seven regular screens, and a bookable party room. A Gym Tale is a children’s entertainment centre that offers a fairytale-themed play area with safe equipment and obstacle courses. Children can enjoy playing on trampolines, in a ball pit, and with trapezes, swings, tunnels, climbing structures, and padded floors. Parents can book birthday parties at the venue, or have their children attend daycare or programs/camps at the location.Just outside the neighbourhood is Valleyview Little Animal Farm, which has a petting zoo with goats, rabbits, sheep, ducks, and calves. The farm also has a play structure, areas with larger animals (donkeys, cows, and deer), puppet shows, train rides, and a birthday party room. There is also an onsite farm museum, café, and gift shop. Special events are held at the farm throughout the year. Barrhaven residents have a diverse selection of dining options in their neighbourhood. Broadway Bar & Grill on Strandherd Drive is a casual spot serving a variety of comfort food dishes like pasta, burgers, fish and chips, and pizza. The restaurant provides catering for private events and can accommodate larger groups at their location. 1000 Sushi Islands on Riocan Avenue offers beautifully presented, tasty Japanese cuisine in an elegantly decorated space. The restaurant can accommodate large groups, making it a perfect place for parties and celebrations. For hearty pub grub in a friendly, cozy space, residents can head to Heart & Crown on Strandherd Drive. The venue has live music on certain nights of the week, as well as TVs so customers can watch their favourite sports games. Shawarma Heaven on Riocan Avenue offers brightly coloured Middle Eastern fare in a simple, but comfortable space. Customers can choose to dine in, take out, or get their food delivered. 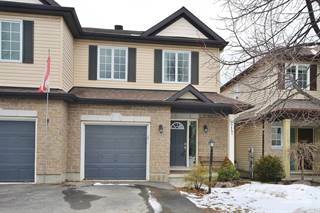 Housing in Barrhaven is mostly single-family homes and row houses, with some semi-detached homes and small apartment buildings.The average price for single-detached homes in the area is $386,925, which is muchlowerthan the average price for single-detachedhomes in Ontario overall ($518,000). The population of Barrhaven is 72,324, and this has been rapidly increasing over the past 15 years. Families make up 61% of the population here, 25% are couples, and 14% are single. The average annual income is $110,734, which is much higher than the average annual income in the city as a whole, and 66% of residents are university or college educated. As part of the city of Ottawa, Barrhaven experiences some air quality issues from major transportation routes and industry in the area. Noise can be an issue near highways and commercial sections. The crime rate in Barrhaven has been decreasing over the past several years and residents consider the neighbourhood to be safe.Common types of crime in the area include assault, theft ($5,000 and under), mischief, fraud, and breaking and entering. The Ottawa-Carleton District School Board and the Ottawa Catholic School Board operate public primary and secondary schools in the neighbourhood. Examples of schools include Barrhaven Public School, Ecole Michaëlle Jean, Chapman Mills Public School, Adrienne Clarkson Elementary School, Cedarview Middle School, John McCrae Secondary School, L'école élémentaire catholique Pierre Elliot Trudeau, St. Cecilia Catholic Elementary School, and Mother Teresa High School. Private school options are also available. There are no post-secondary options in the neighbourhood, so residents must travel closer to the city centre to access institutions like Algonquin College, Academy of Learning College, Herzing College, the University of Ottawa, and Carleton University. Seven bus routes operated by OC Transpo provide public transportation in the neighbourhood.These routes provide residents with access to other areas of the city, as well as connecting them to other public transportation options such as rapid transit. Parks in Barrhaven include Weybridge Park, an open greenspace with treed areas, walking paths, soccer fields, an outdoor ice rink in the winter, and a sun shelter; Clarke Fields Park, with a playground, walking paths, soccer fields, a baseball diamond with risers for spectators, and a BMX area; Larkin Park, with tennis courts, a baseball diamond, a playground, greenspace, and a soccer field; Grovehurst Park, featuring a soccer field, a baseball diamond, walking paths, a basketball court, benches, and a playground; Water Dragon Park, with a soccer field, a shaded gazebo area with a picnic table, benches, a playground, a rock climbing wall, and a splash pad; and Ken Ross Park, which has baseball diamonds, soccer fields, a football field, walking paths, treed areas, a playground, and a splash pad. The Walter Baker Sports Centre offers two full-size arenas with spectator seating, a lap training pool, a diving pool, a teaching pool, a kids’ pool, a hot tub, a steam room, a gym with weights and cardio equipment, a rock climbing wall, squash courts, free Wi-Fi, and a hall that can be booked for meetings and events. Programs, classes, and tournaments are held at the centre for sports such as ringette, hockey, ice skating, swimming, diving, squash, and aquafit.The Ruth E. Dickinson Public Library has programs for people of all ages on topics such as financial literacy, writing, book clubs, English as a second language, home and garden, professional development, and the arts. The library also provides services such as internet and computer access, refreshments, and an early literacy station. Read more about living in Ottawa, ON.